Embrace the alfresco life with this sling dining chair. You’ll love sipping a beverage on the supportive sling seat. Burnt orange hue has an earthy look. Top of the back slightly curves for an air of sophistication. 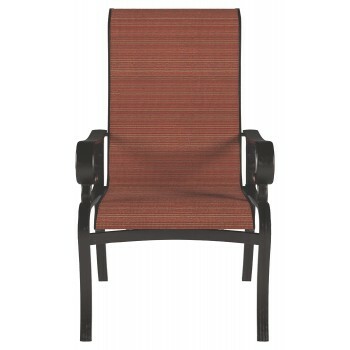 Frame won’t rust, leaving you free to enjoy the outdoors on this chair as long as you please.